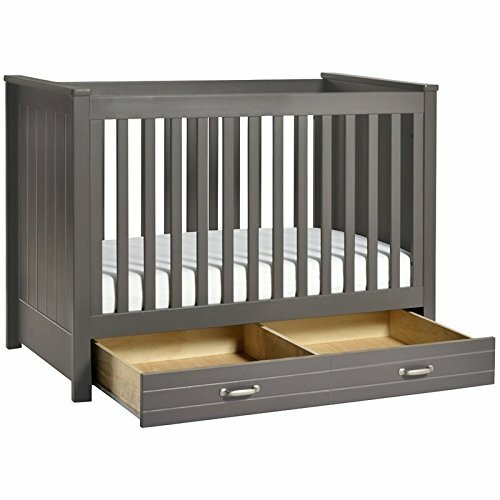 The DaVinci Asher 3-in-1 Convertible Crib brings the nostalgic style of coastal cottage homes to a smart space-saving silhouette. 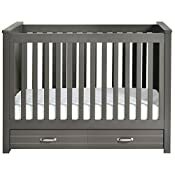 Front and side panel breadboard detailing deliver a relaxed and charming aesthetic to the nursery. 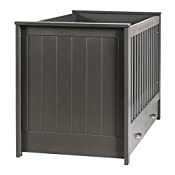 Spacious under drawer space keeps clothes, blankets and other necessities within easy reach. A valuable storage solution that grows with baby, the Asher easily converts to a toddler bed and daybed with conversion kit included. Pair with the Asher 3-Drawer Changer Dresser and matching Autumn Bookcase/Hutch to complete this timeless look.